Unfortunately, this eclipse took place during night time in Belgium, so it could not be observed from ground here. 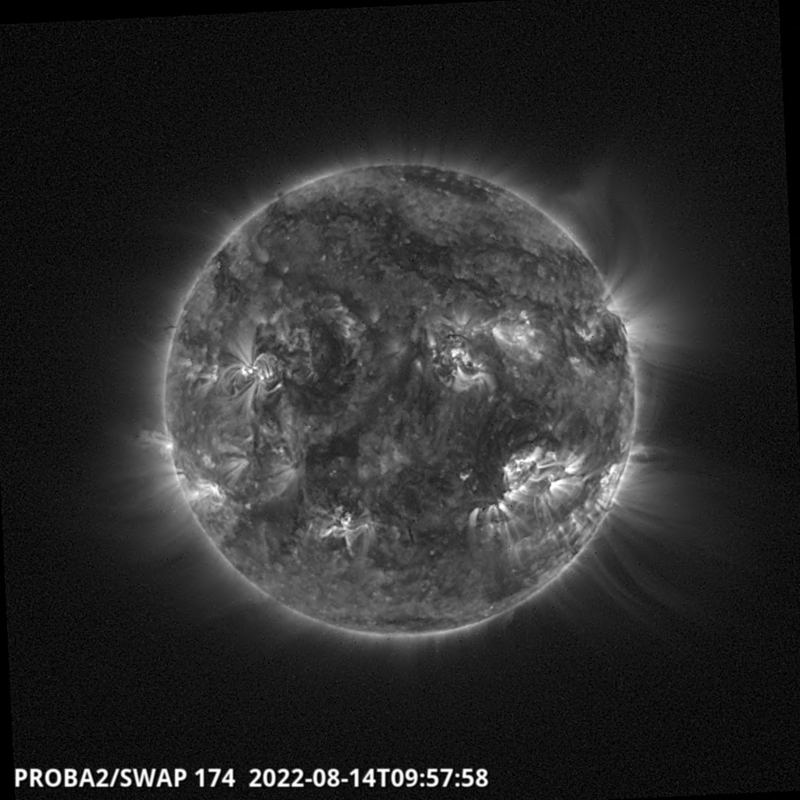 Luckily, we do have the PROBA2 spacecraft observing the Sun nearly continuously. 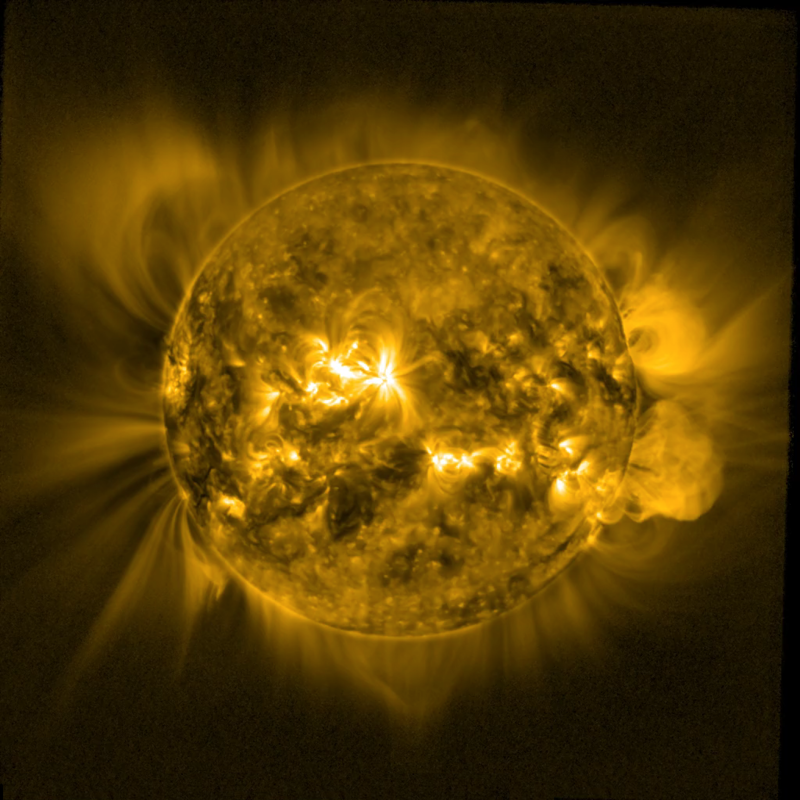 Due to its sun-synchronous orbit, PROBA2 follows the terminator, the dividing line between day and night on earth, and was thus able to observe a partial solar eclipse. 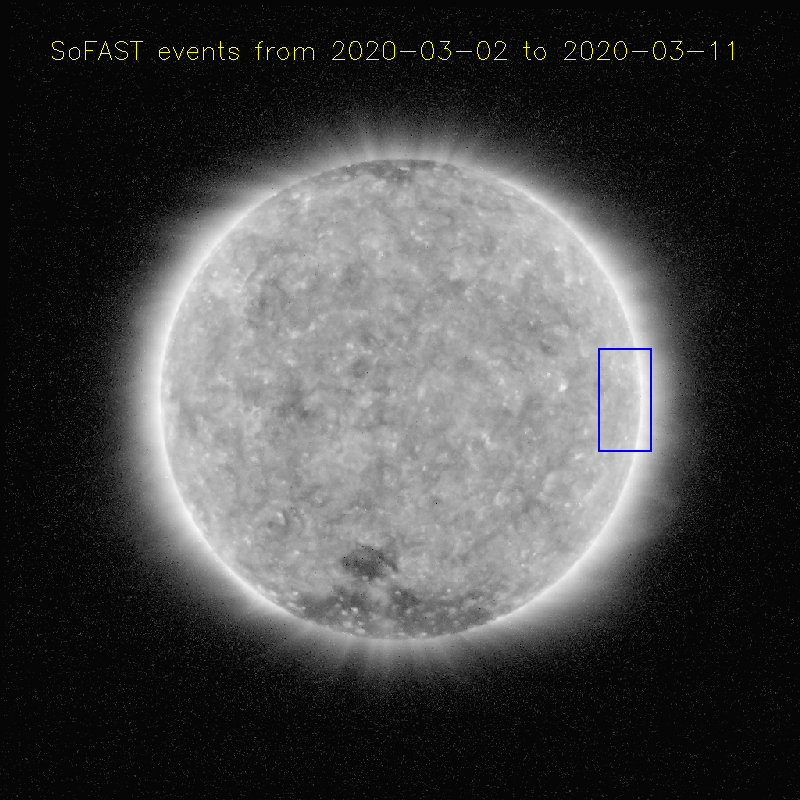 Because PROBA2 has an orbit of only 90 minutes, it passed through the Moon’s shadow and observed a partial solar eclipse two times on March 9: between 00:40 UT and 00:54 UT and again between 02:58 UT and 03:13 UT. 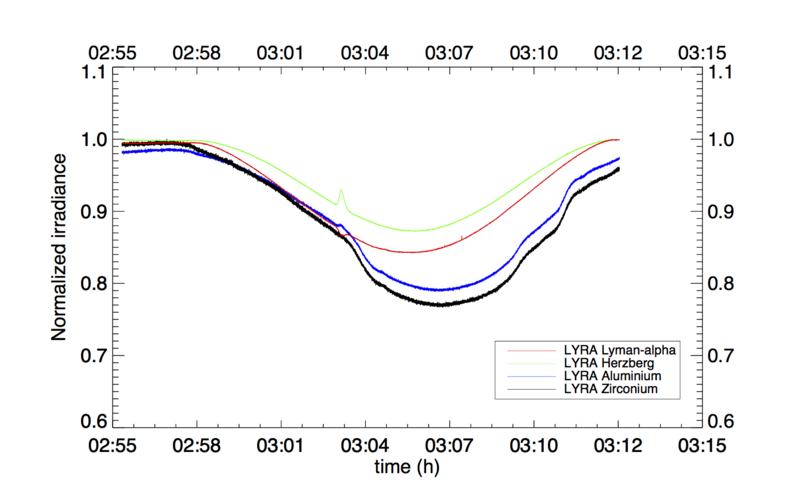 Additionally, the Moon appeared two times in the field of view of the solar instruments onboard PROBA2, SWAP and LYRA, without obscuring the solar disk. A movie simulating the SWAP observations on March 8 and 9 can be found here. We have collected all of our SWAP data products for this eclipse in one place for easy access. 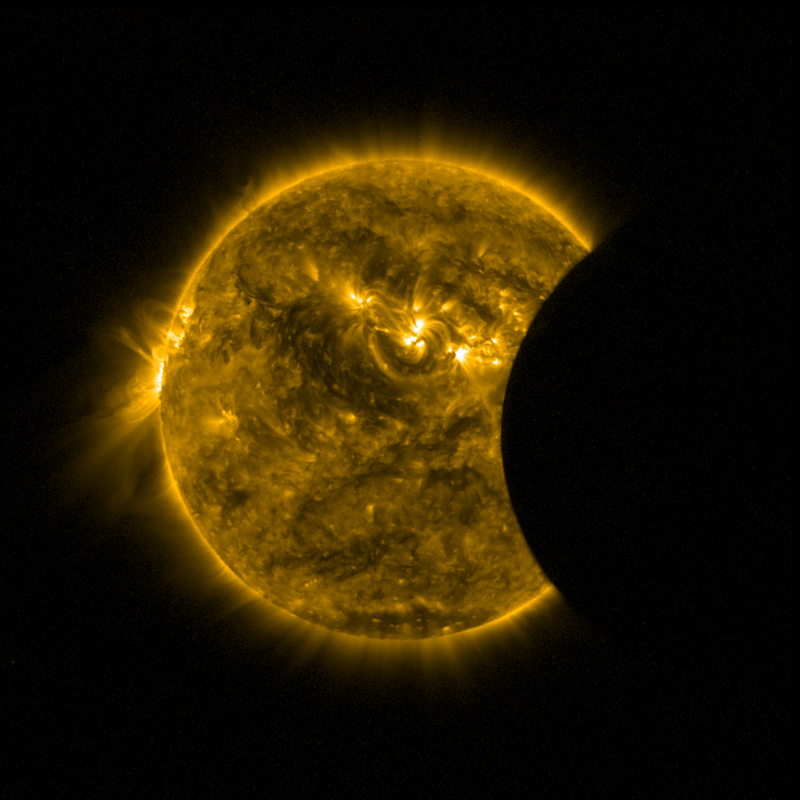 Additionally every still image from the eclipse sequence, in all three of the varieties described above, is available via this link: http://proba2.oma.be/Events/2016-Mar-09-SolarEclipse/png_sequences/. 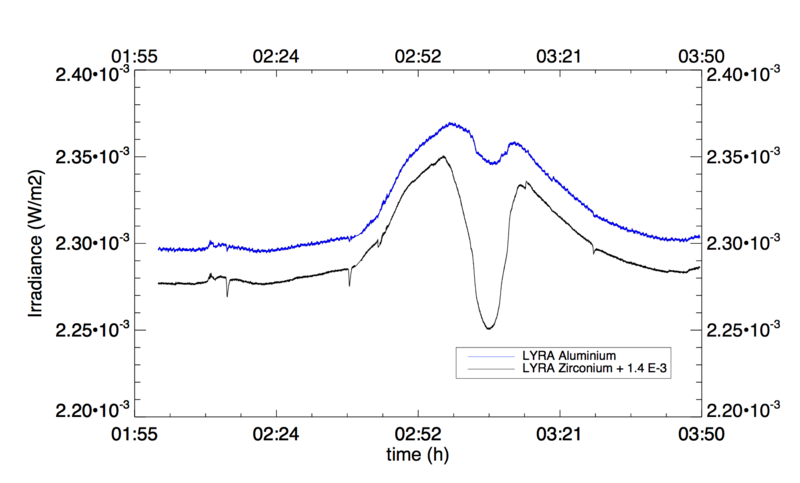 The two transits of the Moon in front of the solar disk were also captured in LYRA timeseries. 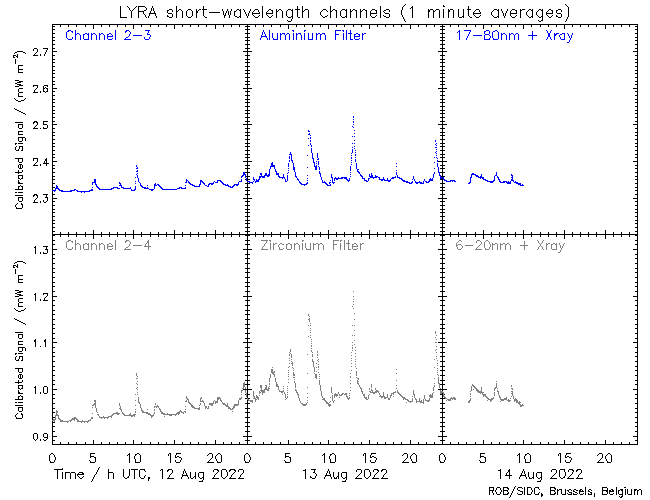 For the occasion, we activated our backup unit (unit3) in parallel to the nominal one. All of the latest movies are available at the following link. These files will be overwritten periodically throughout the day as new data arrives, so users who would like the latest/best available movie should refresh the page. 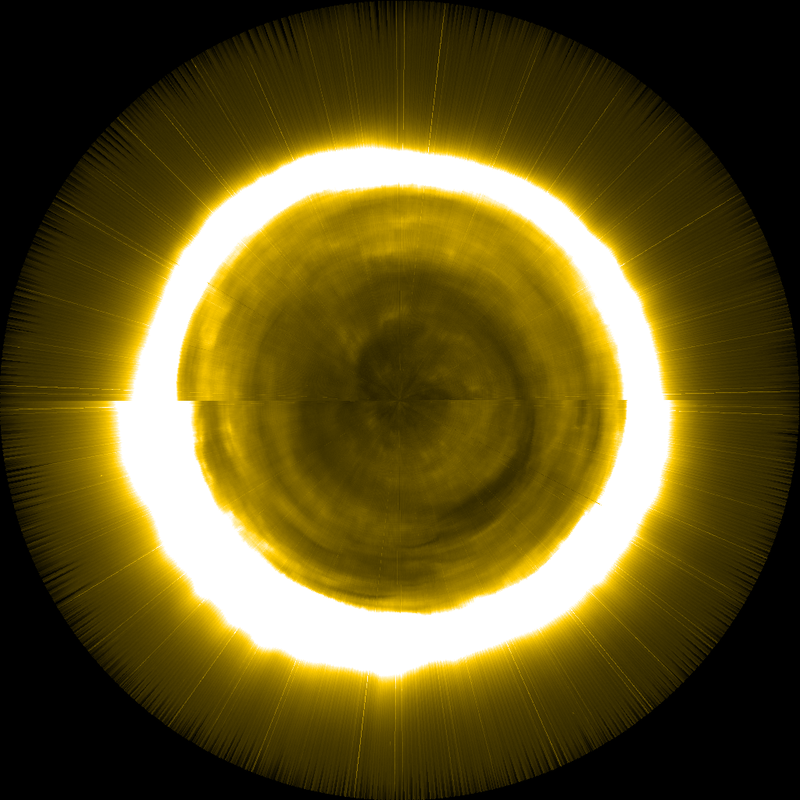 Link to the movies: http://proba2.oma.be/Events/2016-Mar-09-SolarEclipse/movies/. PROBA2 isn't just useful for eclipse observations! 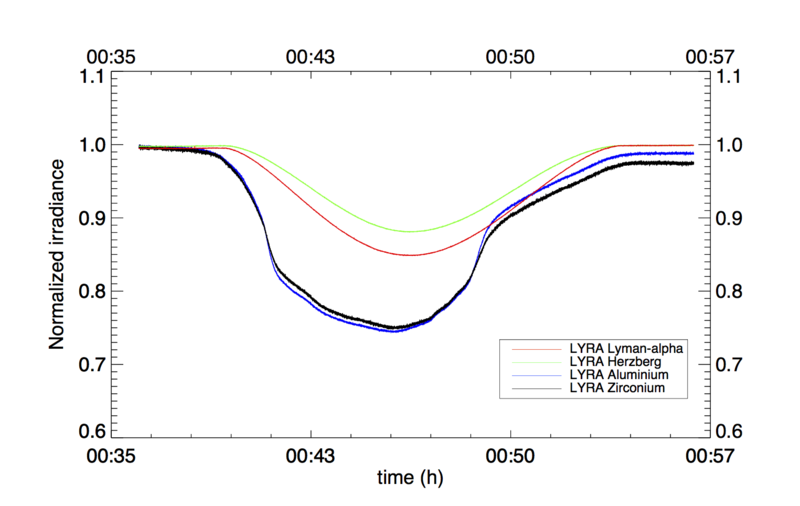 The PROBA2 PI-team welcomes research proposals for the seventh round of its Guest Investigator program for research based on SWAP and LYRA data analysis by scientists outside the SWAP and LYRA PI-teams. Learn more about our 7th GI call here.